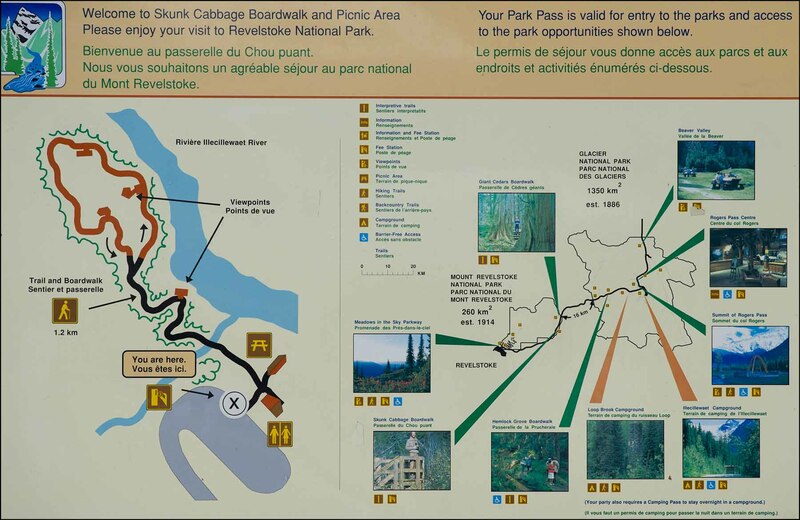 Twenty-eight kilometers east of Revelstoke, BC is the entrance to the Skunk Cabbage Boardwalk. 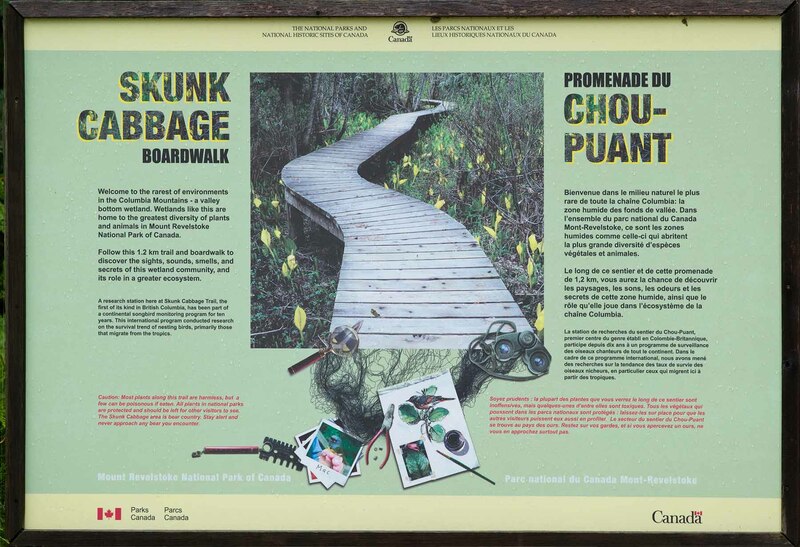 A 1.2 km trail and boardwalk leads you over a swamp inhabited by muskrat, beaver, skunk cabbage and a host of birds. 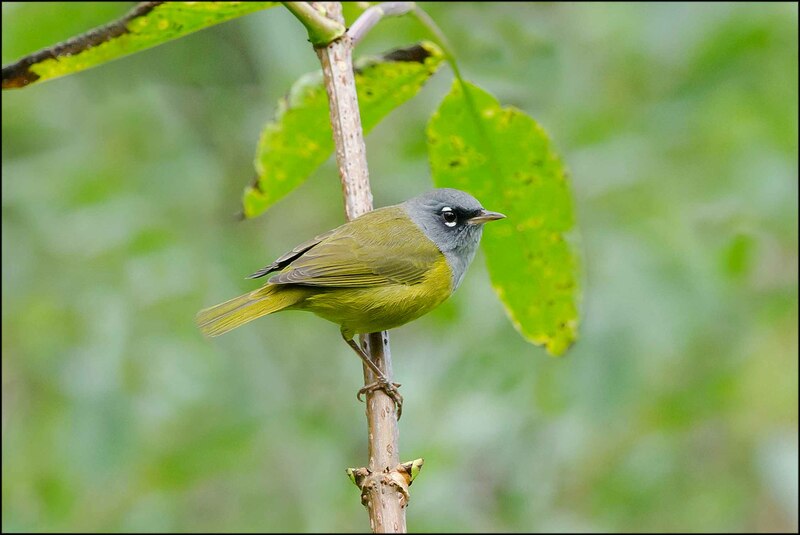 I was told, a few years ago, that this area was a reliable place to see a MacGillivray’s Warbler. Hopefully the 4th time visiting, would be the charm and I’d get lucky. I’d heard the warbler here, but I’d never been able to get one out in the open. I did manage a crappy image the first visit and would love a better image. We arrived at 10am, it was an overcast, rainy morning but Sue and I decided to give it a try, regardless. The place was deserted and We’d barely gotten a hundred yards when a movement caught my eye. There it was, a MacGillivrey’s, bouncing around a dead fallen branch. Camera on my shoulder I watched it disappear into the foliage (much like its close relative the Mourning Warbler). I thought , drat, another chance blown at this bird. So on we went, a few birds were seen but no sign of a MacGillivray’s. We came back to the same fallen branch, and again movement caught my eye, this time I was ready. Manually focusing on the moving bird, I got a photo of his tail, back, various positions but none of them with the bird, out in the open. Then as if the bird was giving me a reward for my patience. Out he came in full view, Sue and I got great looks, binoculars not needed.